Spikes, the Patriots’ second-leading tackler, is their fourth key defender to be sidelined for the season. FOXBOROUGH, Mass. — New England’s defense suffered another big blow Monday when the Patriots’ placed linebacker Brandon Spikes on injured reserve because of a knee injury five days before their playoff game against the Indianapolis Colts. 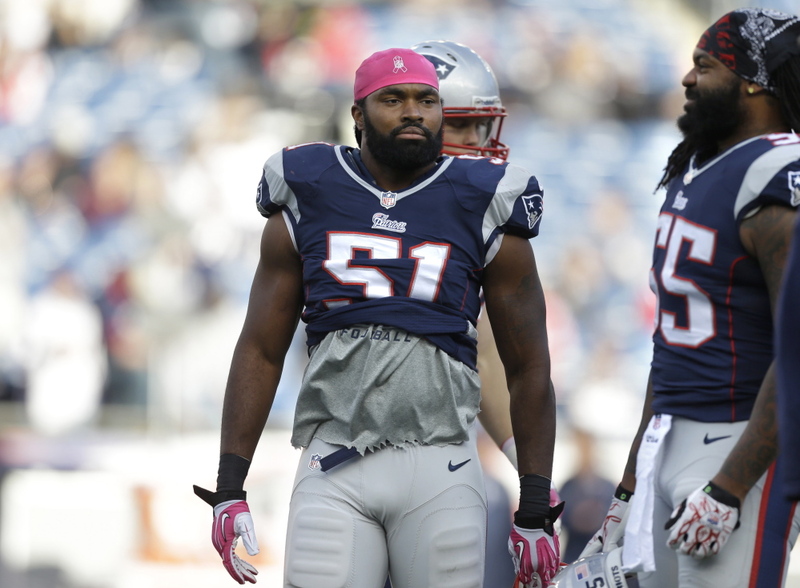 Spikes, the Patriots’ second-leading tackler, is their fourth key defender to be sidelined for the season. The other three all went on injured reserve before the midpoint. Tackle Vince Wilfork played the first four games, tackle Tommy Kelly the first five and linebacker Jerod Mayo the first six. Wilfork has made five Pro Bowls and Mayo was chosen for two. Spikes has been playing with a knee injury for much of the season. He started but made just one tackle in the last regular-season game, a 34-20 win over the Buffalo Bills. The Patriots had a bye last weekend before they host the AFC divisional-round game Saturday night. Dane Fletcher is likely to replace Spikes at middle linebacker between Dont’a Hightower and rookie Jamie Collins, a first-round draft pick. The Patriots have two other linebackers — Chris White, a special-teamer who has no defensive tackles in 16 games, and Steve Beauharnais, who has played just two games. Spikes is a strong run defender and had 134 tackles this season, three behind Hightower. The Patriots drafted Spikes in the second round in 2010 out of Florida.